Arrive in style with a tailored flight path through your favourite wineries! Let us plan the day for you, or alternatively, design your own tour! 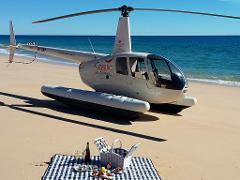 Treat your special person with a stunning helicopter flight to a secluded beach location! Gourmet picnic hamper and bubbles on ice included! It’s duck season, it’s rabbit season, it’s duck season… nope, it’s Salmon season! 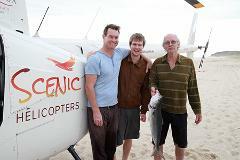 Combine a fantastic coastal scenic flight with the thrill of Salmon fishing in the South West! Guided tour- all equipment and refreshments supplied. 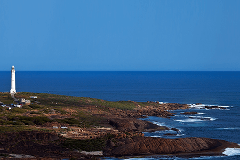 Cape Naturaliste or Cape Leeuwin – the choice is yours. Head North or South from the Margaret River Airport, loop around your chosen lighthouse for a coastal flight all the way home! A fantastic way to see the region from above! 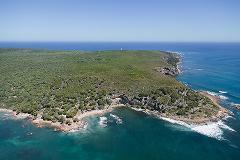 See the entire stretch of this fantastic coastline, from lighthouse to lighthouse. See surfbreaks, caves, cliffs, forests, rivers, townships, wineries, farming lands and more! Land along the way perhaps, for a coffee, wine tasting or swim?